It feels counterintuitive to look to social media to get away from social media. But that's what Facebook wants us to do with new features it announced this week. 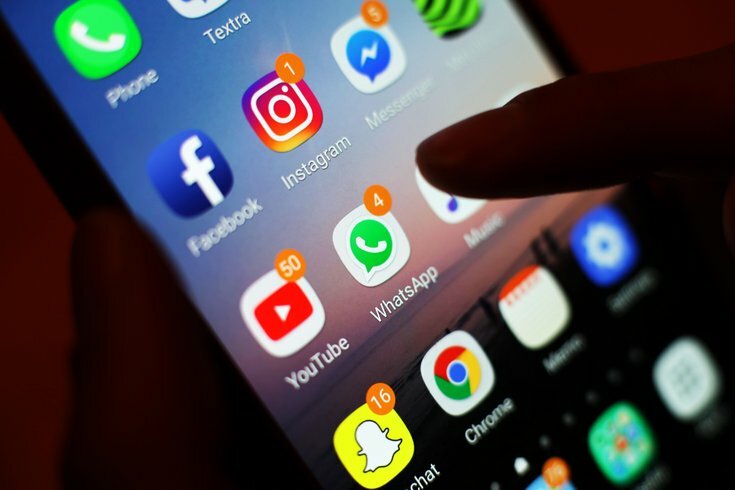 On Wednesday the company announced it's rolling out tools to help users limit time spent on both Facebook and Instagram in an effort to promote well-being and a renewed focus on good mental health. To turn the feature on, you'll first go into your settings on either app. On Instagram, tap "Your Activity" and on Facebook tap "Your Time on Facebook." You'll see a dashboard that will display the average time you spent on each app (scary) and here you can set a daily reminder to alert yourself when you've reached the amount of time you want to spend on the app that day. That can be as little as 15 minutes and as much as eight hours. You'll also be able to limit notifications from the apps when you're at work, in class or need some time without a screen in your face. 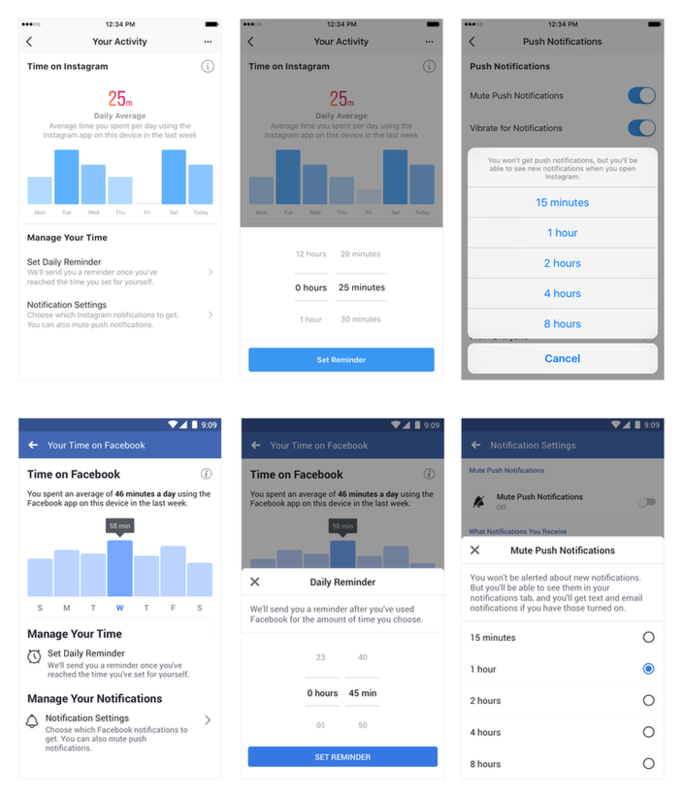 Facebook unveiled on Wednesday new features that can limit your time on Instagram and Facebook. On Instagram, a "You're All Caught Up" message will also appear to tell you that yes, you have seen everything new on here and you can switch it off now. According to the announcement, Facebook developed the tools along with "leading mental health experts," but it's pretty obvious that most people spend exorbitant amounts of time scrolling through social media and need to be reminded that today they spent four hours looking at other peoples' vacation photos. Google (on the Android) and Apple (on its iOS12 update) unveiled similar time-limiting features this summer. This renewed commitment to making our lives better most likely stems from all of the flack Mark Zuckerberg got for spreading misinformation and "fake news," contributing to a decline in mental health, and reported increased feelings of widespread social isolation. The new features will roll out soon, although we don't have a clear timeline just yet.